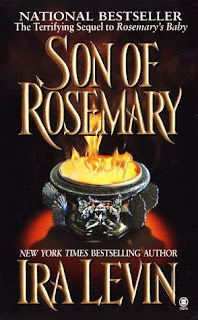 My Review of Ira Levin's "Son of Rosemary"
After getting my hands on the original "Rosemary's Baby", I was fascinated to see where Mr. Levin would take the characters after having left them untouched for almost 30 years. I was not disappointed. This story takes up 34 years after the conclusion of the first novel. We find Rosemary waking up from a coma she had fallen into some 28 years earlier. Her last memories were of still living in the Bramford, and glancing at her son Andy who had recently celebrated his sixth birthday. From the other side of the walls, she could hear the coven chanting as usual then blackness. She awakens in the year 1999, to learn that the coven had put her into a long-term care facility under the name of Rosemary Fountain (the last name of one of cults members). Realizing the coven had put her into a coma as they had her friend Hutch, she is outraged and fearful for what had become of her son Andy, whose father is Satan himself. 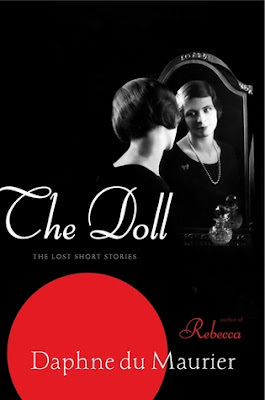 My Review Of Daphne Du Maurier's "The Doll: The Lost Short Stories"
After reading Miss Du Maurier's classic "Rebecca" I set out to find more of her works, in particular I wanted to read some of her short works. In "The Doll: THe Lost Short Stories" I found a treasure of tales which left me both fascinated and a bit disconcerted. One might easily wonder at how I reconcile those two emotions, but I can safely say I learned from the author herself. In this collection of early works, we get to see the sharp insight Miss Du Maurier had to the minds of people. Each story contained in this tome, involve people making bad choices in love and relationships, yet still pursuing objects of affection who are most definitely wrong for them. Those they pursue are either disturbed, toxic, or playing games with the affections of others. I've waited to get my hands on this novel for some time and it was certainly worth the wait. Keeping in mind that this book was written and set in 1967, this novel is tame in some respects compared to the gore and horror many authors and movies unleash on today's readers. But they are able to do so thanks to the efforts of Mr. Levin and other authors who broke ground and explored these mysteries and possibilities. Rosemary Wodehouse and her husband Guy find themselves searching for a new home in New York City, so Guy can pursue his acting career on the stage, and soon find themselves with the opportunity to rent an apartment in the old Victorian building called "The Bramford" which has seen its share of notorious characters including a Devil worshipper who claimed to have summoned Satan himself some decades ago. 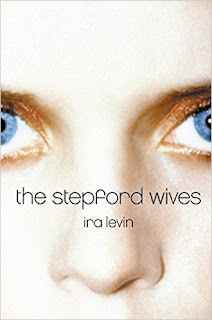 My Review Of Ira Levin's Classic Novel "The Stepford Wives"
A few days ago, I managed to finally locate a copy of this book at my local used book store and immediately snatched it up. Having seen both the original 1975 movie starring Katharine Ross, as well as the more recent Nicole Kidman version, I was eager to read the actual book that made the term Stepford Wives part of our everyday lexicon. I'm going to assume that most people reading this blog already knows the story and how it ends. If you haven't seen either movie I strongly recommend the 1975 version which is much closer to the book, and not read the rest of this entry until you have because it contains huge SPOILERS! Mr. Levin once again presents us with an idyllic setting and situation, namely the homey little town of Stepford with its picturesque white picket fences and home town charms. 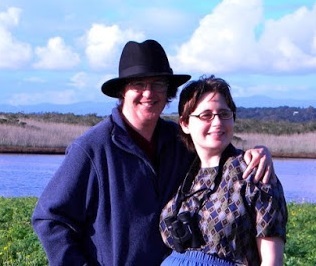 We meet Joanna Eberhart who has just moved here with her husband Walter and their two children Pete and Kim. 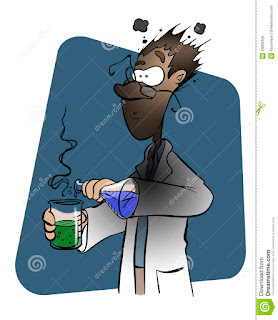 A Failed Experiment... Or Was It? In any case, it's important to realize that no matter how many times you try to write a book, scene, character, or whatever... you learn from the experience. The piece may not work out the way you had hoped but you gained knowledge, namely what didn't work.